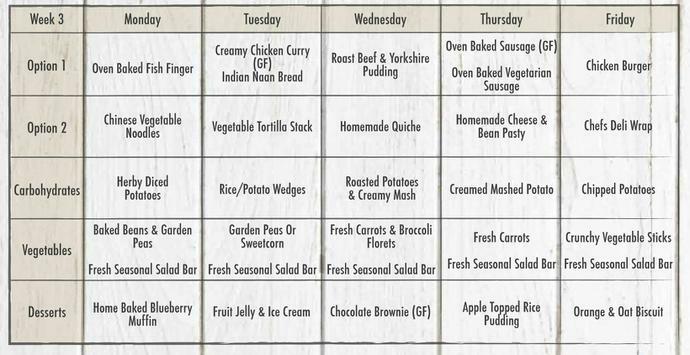 Our school dinners are freshly prepared daily by our school cook. 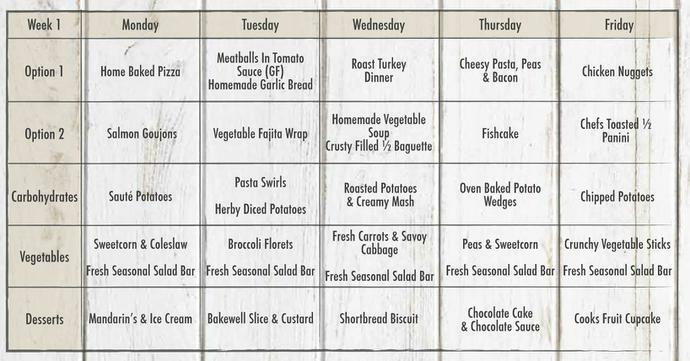 Each menu covers one week as part of a 3 week cycle. 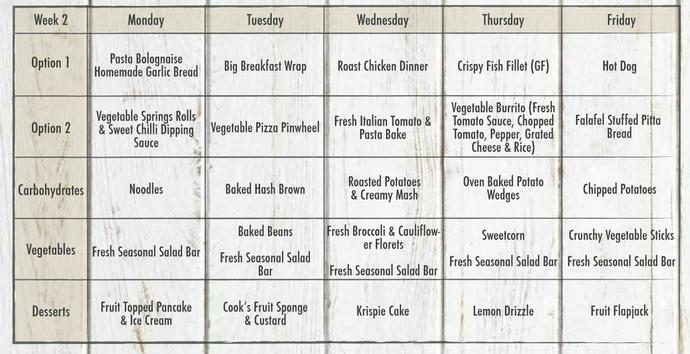 The dates for the menu appear at the bottom of each weekly menu. This new menu will commence on Monday 10th September 2018. There is a pdf version of the new menu below for download.